Find out more about NOSH open source medical software with pricing, key information and frequently asked questions. 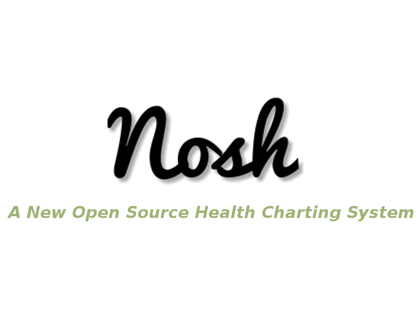 NOSH is an open source free medical practice management tool. With NOSH, users can create their own charting and record-keeping system. Nosh can be used in small medical practices to manage patient records and more. Nosh is a 100% free platform, so there is no pricing information to record. Pros: Abosutely free and open source for greater customization. Cons: The latest release was in 2017 and there is almost zero product support. Bottomline: If you don't require extensive customer support, then NOSH can be a very helpful free tool for your medical practice. How do I log into my NOSH account? Once you have installed the NOSH software on your computer, you can log in by open the program? Is there a NOSH free trial? NOSH is 100% free, so no free trial version is necessary. Are there any NOSH add-ons? NOSH does no offer any product add-ons at this time. Are there any NOSH alternatives?